Who should you choose for pet sitting in your home? WHICH PET SITTER SHOULD I CHOOSE FOR PET SITTING IN MY HOME? Which pet sitter should I choose for petsitting in my home? You need to choose the best possible sitter to look after your pet while you’re away. One factor to take into account is how long you would like the sitter to be present during the day. This will depend on their commitments and will vary according to the pet sitters. When you choose pet sitting, you can be sure that your pet will be pampered by an animal-lover, who’ll take care of it during your absence. In order to choose the right person to look after your pet, it’s important to be aware of the different types of people likely to be available to pet sit in your home. In fact pet sitters come from all wallks of life, something which makes it easier to choose a person who corresponds to your particular requirements. Retired pet sitters in general have much more free time than most, which they can devote to the care of your pet. For pet sitting in your home, it makes sense to opt for a retired person, if you’re looking for someone to keep your pet company during the day. Depending on their timetable, students geneally benefit from a degree of flexibility with their time, which could be ideal for your requirements. Moreover, if your home is situated near their place of study, this could enable them to pop in regularly, during the day, to check on your pet’s welfare. Someone who is working will of course have a fixed daily timetable. If your pet is already used to that then it could make sense to choose a sitter with working hours similar to your own. In this way there will be no change in your pet’s daily routine. If the sitter is someone who works from home, this could be ideal for you and your pet. A person in this situation, unlike most working people, would be able to keep your pet company for most of the day as well as the night. 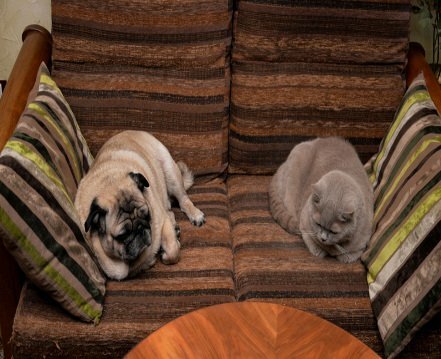 It is generally easier for people in search of employment to offer pet sitting in the pet owner’s home. On the whole a jobseeker has a significant amount of free time, which they can devote to the care of your pet. However you do need to be aware that a jobseeker could always find a job during the period of the sitting and as a result have less time available to care for your pet. Taking into account the different profiles described above, it’s ultimately up to you to choose the pet sitter who’ll look after your pet while you’re away. •	Does my pet need a lot of company? •	How well does it tolerate being left alone? •	Does it prefer to be on its own? •	Will it put up with the presence of a stranger in the home during my absence? By addressing all these questions, you’ll be able to choose the profile that relates most closely to your situation. In any case, you’ll need to organise an initial meeting in your home in order to make a final decision on your choice.